Clearance of vegetation and trees adjacent to Network Rail property, Leeds. 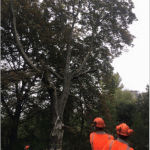 In October 2015 Treesaw was commissioned to carry out the felling and pruning of several mature trees and clearance of vegetation adjacent to Network Rail rail lines, near Kirkstall in Leeds. 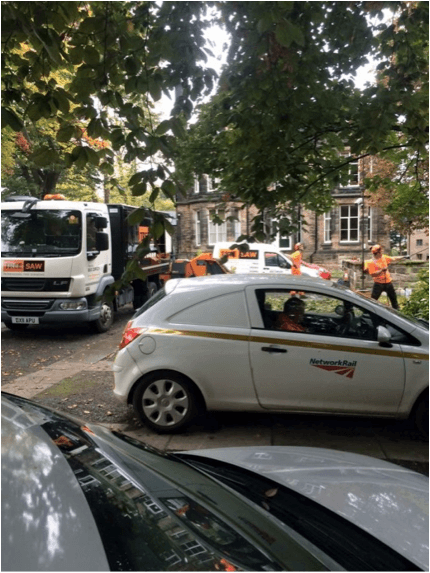 Following a competitive bidding process, Treesaw’s submission was considered to be the most economically advantageous for price, quality and for meeting the requirements of Network Rail. 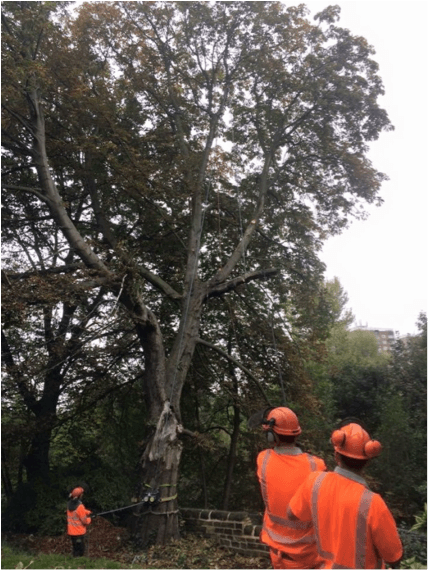 The remedial work included pollarding, work to reduce the end weight and lean towards the railway line, pruning to clear buildings and complete tree removal to manage the trees to an acceptable level of risk. 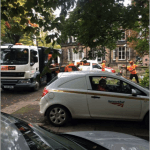 Network Rail introduced green zone line blockages on the Leeds – Armley Junction – Harrogate line to allow us to carry out the work safely. The project was also planned to include working on three consecutive Sundays when train services are less frequent allowing us the maximum amount of time between services under the supervision of the Track Supervisor to remove any branches overhanging the railway. 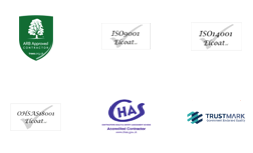 Particular attention was given to the production of appropriate Risk Assessments and Method Statements which had to be approved by Network Rail and Public Liability insurance which had to be extended. Client, Garden House Developments Ltd.